The great truths of life are contained within all forms of art, including pop culture and television. Rather than taking them in as a mindless diversion to pass the time, well chosen entertainment can be a highly nutritious “food” for the mind. Whenever an aspect of Heilkunst, or even an expression of healthy life principles are illustrated in a TV show, I take note of it for my inner catalogue of living images. In the classic 70s program ‘Columbo’, the main character is a homicide detective and cracks his cases using his seemingly natural talent for sourcing information through his emotional mind (what we call the ‘gemüt’ in German). This is very different from most of the current detective shows which illustrate an increasing dependence on methods favoured by the rational mind, such as forensics and various types of computer analysis techniques. Let’s start with Columbo’s appearance: the suspects and witnesses who Columbo interviews are usually surprised to find out that he is a detective, as he does not at all look the part. He drives around in an old beat-up car, is always wearing a ruffled trench coat and usually smoking a cigar. His appearance is frequently compared to the look of “an unmade bed”. Nothing about his appearance is neat or tidy, as the rational mind would expect for someone in his position. This is a great way to artistically portray the fact that he is operating through a strongly dominant emotional mind, or through his gut instincts. His method of questioning his chief suspect (who he always visits repeatedly to the point of their frazzled annoyance) always cycles through the various details of the murder, until the point where the intricately constructed “perfect crime” falls apart due to one or more details which don’t “add up”. It is Columbo’s emotional mind which brings these “hunches” back to his mind over and over, until he finally cracks the code of the criminal’s cover-up and is finally able to arrest them. 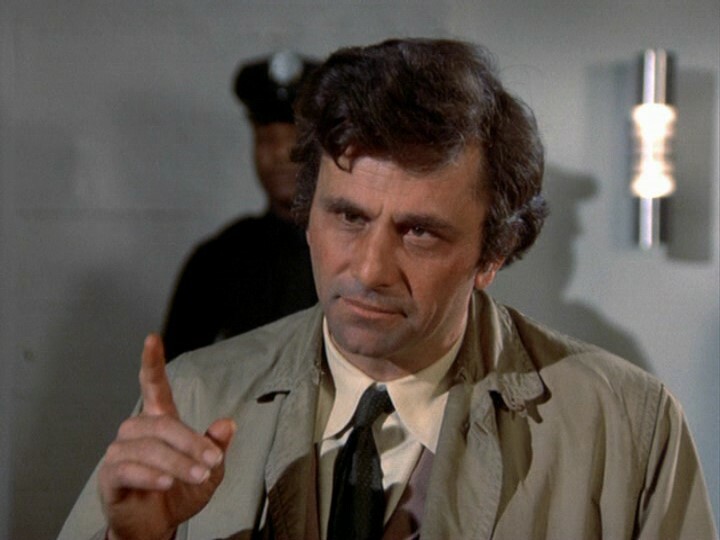 In each episode, Columbo seems to zero in on the prime suspect early on, but then spends the remainder of the episode trying to put all the pieces together to make a conclusive conviction. You can palpably feel his struggle to work his intuitive knowing up into his rational mind. As in the science of heilkunst, correct diagnosis is dependent on the healthy emotional mind of the practitioner, who is also able to take that knowledge and then translate into terms of the rational mind. This is one of the most important part of Heilkunst diagnosis, which is aimed at getting inside the “living content” of the case which can not be revealed by the abstract label that most patients import from conventional medicine to describe their illness. Such empty and abstract diagnostic labels (which are the product of an intellect that is disconnected from an emotional mind) have no power to lead to a true cure, but at best shift symptoms around at the surface.